Jimmy Orange is created by two Chinese-American young men with a dream of leading the trend in New York in 2014. The brand is designed with fashion bold style, bright colors, simple avant garde decorative element, amazing untraditional model and distinct personality.Jimmy Orange is focused on becoming a comprehensive leader of personality, fashion trend, health, environmental protection and comfort in the market. Jimmy Orange include untraditional series, trend series, business series and function series. "Never compromise, never follow blindly"is the everlasting brand concept of Jimmy Orange. Jimmy Orange has always been keeping one year warranty. For all defective products, Jimmy Orange will provide replacement in 90 days and one year warranty for free from the purchase date. Blue light emitted from the screen of computer, TV, and smart phone reaches deeper into your eyes and could cause fatigue, dry eyes, headache, and even permanent damage to your retina. So, you need a computer glasses to block the bllue light and prevent your eyes from the glare and light reflection. 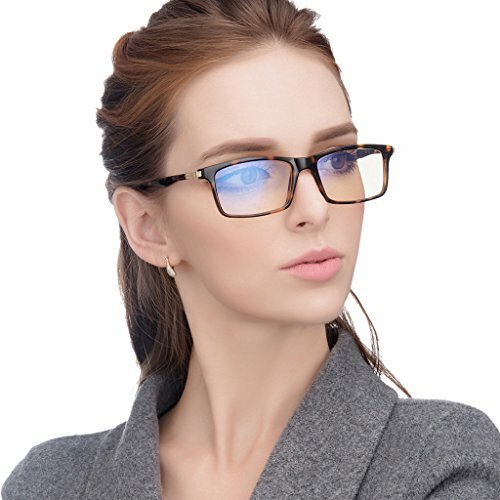 LianSan computer glasses adopt high definition resin lens to not only let you enjoy the clear computer, TV and smart phone screen, but also reduce the damage of the blue light. Function: Prevents dry eye, irritation and sharpens detail to ease eye strain,Filters blue light and UV to enhance contrast and protects eyes. Reduces glare to eliminate distraction and stress. Pressure points or fatigue Conforms with all head sizes and will not interfere with your headset. If you have any questions about this product by LianSan, contact us by completing and submitting the form below. If you are looking for a specif part number, please include it with your message.